We will .PROMO.TE AND ADVERTISE YOUR INDIEGOGO OR KICKSTARTE CROWDFUCDING CAMPAIGN ON DIFFEREN SOCIAL MEDIA PLATFORM. We will advertise and market Your eCommerce site and any other ONLINE MARKETING. You will get real human 100% REAL VISITORS FROM REAL USER.NOT FAKE OR BOTS OR CHINA VISITOR.............. 90 percent USA VISITORS. Exposure is the key, so prom.oting to our social media outlets will help spread the word about your campaign and this will go viral till it gets to potential DONORS. Place an order now and skyrocket your chance of getting result for the purpose of which your site was actually built. 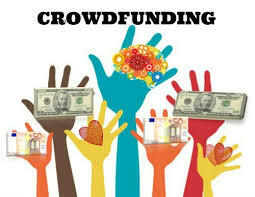 promote your Crowdfunding, Fundraiser or Charity is ranked 4 out of 5. Based on 7 user reviews.